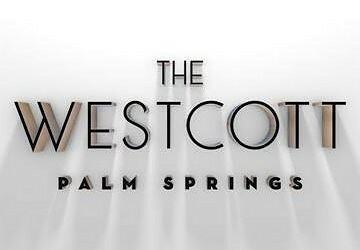 Welcome to THE WESTCOTT – one of Palm Spring’s newest and best rate boutique bed and breakfast locations. Offering a timeless art deco style retreat combined with personal, yet subtle service and a relaxed adults only ambiance. From the moment you arrive we want you to feel part of the magic that makes Palm Springs special – open since the 1930s we combine modern facilities with touches of art deco design to take you back to the golden age and glamor of Hollywood. Our Art Deco 1930’s-inspired Palm Springs accommodation is the perfect place to relax, unwind, and experience the beautiful California weather. Our hotel may have begun it’s life as THE WESTCOTT in 2017 but it has been operating as a hotel since the 1930s. Now fully renovated with a focus on the detail and glamor of Art Deco period, this adults only resort is both romantic and relaxing, boasting all modern amenities and service that notices the smallest of details to make your stay memorable. We look forward to welcoming you.